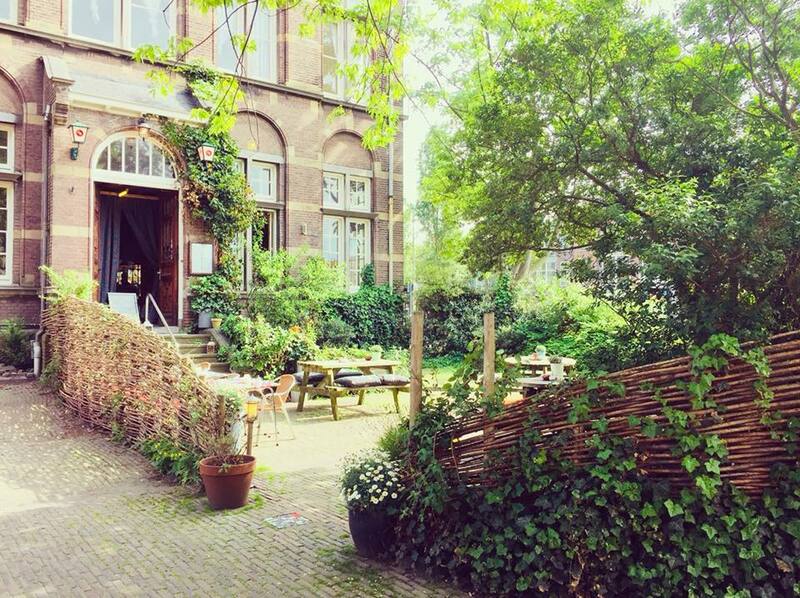 Organic and vegetarian, Restaurant Hagedis has been established in the vestibule of the Hogere burgerschool for years. We prepare delicious, freshly cooked meals, using surprising combinations and flavours. We have a constantly changing seasonal menu and a large assortment of accompanying wines and beers, as well as many delicious juices and softdrinks. Outside of the opening hours of our restaurant, it is possible to rent our unique and atmospheric location for parties, large groups, courses, meetings and other social occasions. We are happy to cater specifically for these kinds of events. We also offer catering on location, so that you and your guests may relax and just enjoy good food. Follow our vergetarian foodjourney on Instagram.